If you have any questions about the SHANDOR information page below please contact us. This motor yacht SHANDOR is a 48 m 159 (foot) large steel boat which was manufactured at Schiffs-Und Bootswerf Fr Schweers (Lurssen Group) and designed from the design board of Gerhard Gilgenast. The ample converted private yacht SHANDOR is a particularly cleverly designed German made superyacht which was launched to completion in 1986. 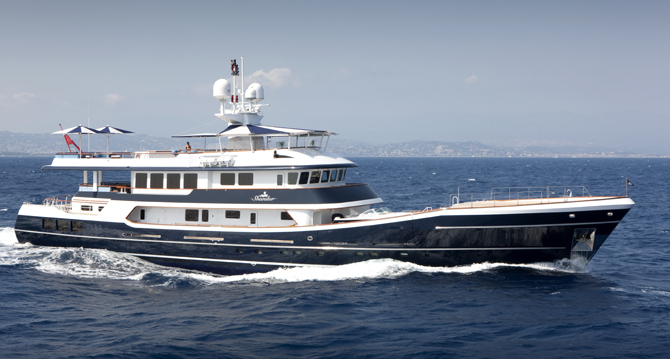 Accommodating 12 passengers and 11 crew members, motor yacht SHANDOR was named Margaux Rose; Louisianna; The Griff. The naval architecture office which delivered her design with respect to this ship was Gerhard Gilgenast. Also, the interior styling was sucessful creation of John Munford. The yacht is a traditional converted private yacht. Gerhard Gilgenast was the naval architect firm involved in the formal vessel plans for SHANDOR. Her interior design was conceived by John Munford. Gerhard Gilgenast is also associated with the yacht general design work for this boat. Germany is the country that Schiffs-Und Bootswerf Fr Schweers (Lurssen Group) constructed their new build motor yacht in. After formal launch in 1986 in Bardenfleet the boat was afterwards delivered on to the happy owner after sea trials and testing. Her core hull was crafted from steel. The motor yacht main superstructure is fabricated largely from aluminium. With a width of 9 m / 29.5 ft SHANDOR has spacious interior. She has a deep draught of 3.47m (11.4ft). She had refit maintenance and alteration work carried out in 2008. Fitted with one MAK-KRUPP diesel engines, SHANDOR is able to attain a high speed of 16 knots. Connected to her Mak-Krupp engine(s) are a single screw propeller. She also has an economical range of 7200 miles when motoring at her cruising speed of 14 knots. Her total HP is 2275 HP and her total Kilowatts are 1674. Regarding bow thrusters she utilises Zoller. With respect to the ship’s stabalisers she utilises Vosper. The spacious luxury yacht motor yacht SHANDOR is able to accommodate a total of 12 passengers and has 11 crew. 48.46 metres / 159 feet. Giving the combined power of 2275 HP /1674 KW. 7200 at a speed of 12 knots. On Sept 2009 SHANDOR visited Antibes, in France. This motor yacht has traveled the area near Département des Alpes-Maritimes during the month of Sept 2009. Carlyle is the the company which manufactured the AC installed in the interior. SHANDOR features a teak deck. 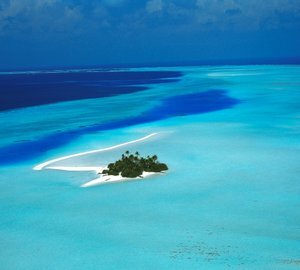 The luxury yacht SHANDOR displayed on this page is merely informational and she is not necessarily available for yacht charter or for sale, nor is she represented or marketed in anyway by CharterWorld. This web page and the superyacht information contained herein is not contractual. All yacht specifications and informations are displayed in good faith but CharterWorld does not warrant or assume any legal liability or responsibility for the current accuracy, completeness, validity, or usefulness of any superyacht information and/or images displayed. All boat information is subject to change without prior notice and may not be current.